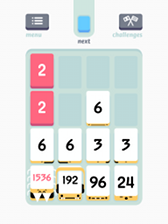 Liveblog: seeking independence from Threes! My high score – so far. 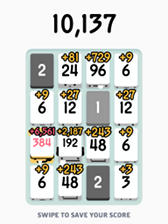 If you know me, you know that I love the game Threes! – and not just because it has an unnecessary exclamation mark. It’s become a bit too addicting, though. For at least 30 minutes each day for the past several months, I’ve been seeking what I now consider the holy grail: the tile marked 3,072. If I get that, I tell myself, I’ll be able to quit. Consider this weekend my attempt at independence from a game that has started to dominate my free time. 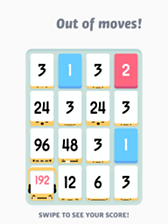 The premise of Threes! 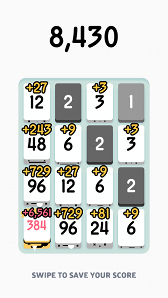 is simple: slide tiles around a four-by-four grid, combining complementary tiles to build bigger numbers. You lose once you can’t make a legal move. I’d describe it as the perfect game. 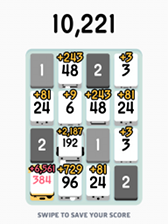 Each board is different, and, unlike 2048, you can’t win just by following a pattern. 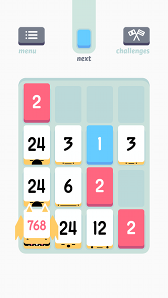 You have to think spatially, and long-term: do I want to put a 6 next to a 384? 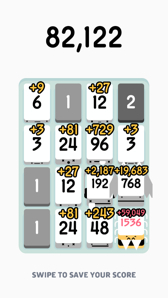 That probably won’t work too well in the long run, even if it will allow me to combine a couple of 24’s on this same move. 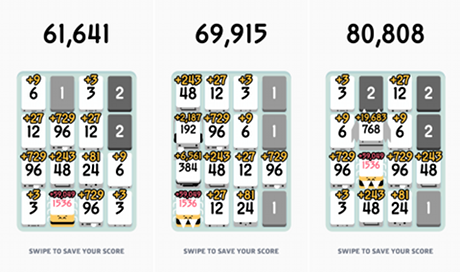 You might have seen me compare the two games in my Guide to First-Mover Advantage. I’ve been playing for four months now, and it was a few weeks in that I reached the record you see above. I have tiles numbered 1,536, 768, 384, 192, and 96, so if I could just make another 96, I could line those babies up and create the vaunted 3,072. I’ve gotten 1,536 probably 30 times since, but never closer to my goal. This weekend, I’m going to try to put this issue to bed. I’ll liveblog each of my attempts, in many cases just giving the final layout, in others updates at pivotal moments. We’ll see how my new liveblogging plug-in works. UPDATE: looks like the plugin only works from a computer. Will provide thoughts when I’m back at home later tonight. 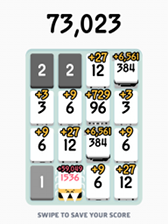 I was so close earlier today, recording my second-highest score ever. 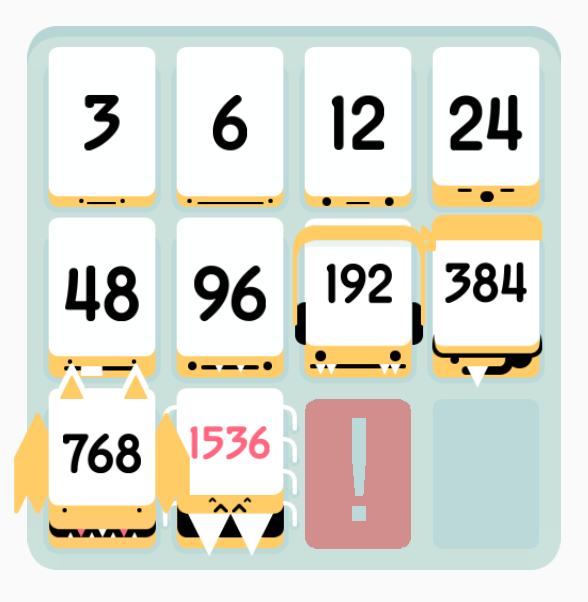 Three 1536s today alone. I’m getting close – I can sense it. I’ll need to compile stats for the other 70 or so games I played since my last update. Between yesterday and today, 13 more efforts. 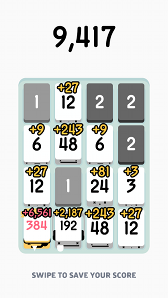 Over half the time, I ended with 768; four with 384, two at 192. 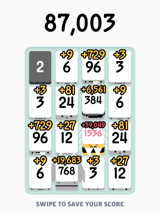 A pretty solid average performance, but I really need something exceptional if I’m going to get to 3072. On attempt #30, I got a little lazy and started swiping intuitively instead of plotting out my next few possibilities. 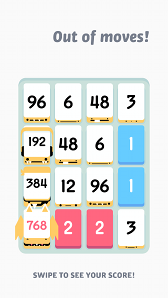 Then I got stuck, and even a 768 is feeling unsatisfactory. 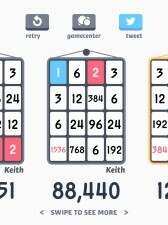 The 768 streak comes to an end with a weak effort, placing me out of position with 1s and 2s coming in at weird spots. Again, sometimes, it’s all about luck. Five games this evening so far – and all topping out at 768, including this nice line-up. Stupid 48 and 96 floating out there to the right! Continuing to flag – just 384 on this one, #23. 8 more on the subway just now. 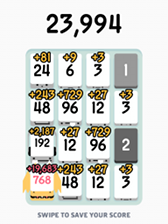 I’m getting weaker: just one finish with 768, 4 at 384, and 3(!) at 192. Eleven more attempts last night. 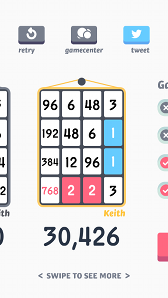 Over half of the time I finished with a 768; I also tapped out on a 384, a 192 (twice), and a 96. I feel that winning Threes! is like winning the World Series of Poker. First, you have to be really, really good at what you do. Then you have to get really, really lucky – the right cards have to come your way almost every time. This one was promising until a 48 came in on the right side. Then all I could do was shuffle around until the bitter end. Played a couple of games earlier tonight, but couldn’t upload from mobile. Both mediocre – 384 on both. Now time for some back-to-back action.